I was all in when Sophia, a stylist at Evereve, called and told me about a fun service they offered – an evening of shopping & cocktails with friends! My dear friend Pamela loves a good party and cute clothes so she hosted the event with me which doubled the fun. So exciting! In fact, I decided to create the shopping experience for the launch of my blog as well! Even with all of the choices, we were able to narrow it down to one outfit with several pieces awaiting us at the party. A week before the party, Pamela and I visited Evereve to shop for an outfit to wear for our event. A lot of their clothes were under $50! What great price for quality. By shopping before, we had more time to chat with friends, help choose great outfits for our girlfriends and let them know what fun was ahead for the blog! The stylish staff at Evereve welcoming everyone. So thankful for this sweet stylist from Evereve! The girls were loving it! Evereve had great everyday wear and some really fun statement pieces. 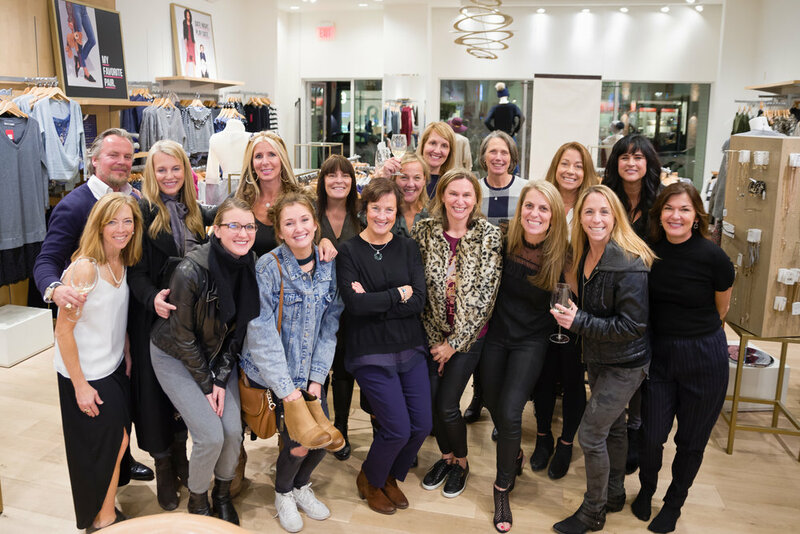 The stylists that worked with us were so impressive – they were so much fun and really knowledgeable about all of their clothing. I was thrilled to have shared it with such amazing women, oh….and Tomas (one husband came) too! 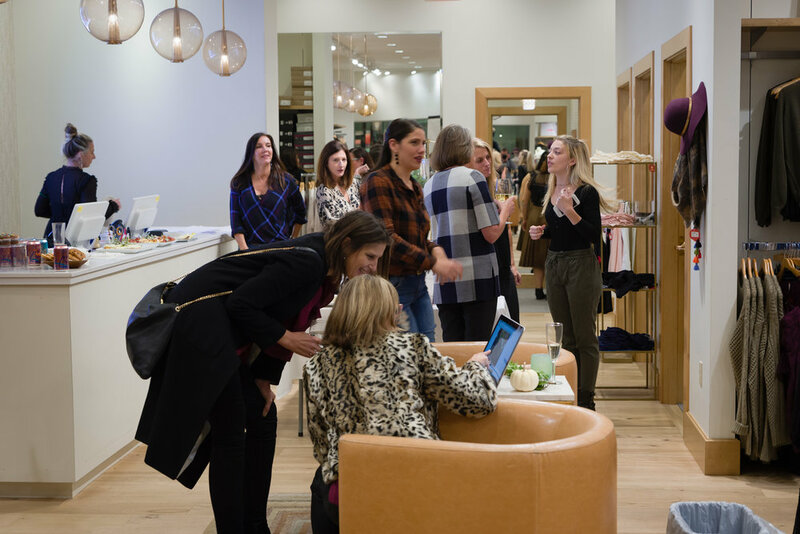 If an evening of shopping and cocktails sounds like fun for you and your besties, contact your local Evereve store and they will set you up. Our group was a little larger than the norm as we were also introducing my new blog, but hosting 15-20 would be an ideal group. Did I mention that everyone gets 15% off that evening or you can make it a fundraiser for a local charity? And if you're all partied out and you just want to shop from the privacy of your home, use this link to get FREE shipping on orders over $50! Take a peek at some of my favorite pieces that are perfect for the New Year and happy shopping!